The Paruppu Podi is very traditional south Indian cuisine& it is a blend of roasted spices and lentils that is full of fresh flavours. Paruppu Podi is my family's favourite podi.We can have it with hot steamed rice and ghee or sesame oil along with Appalam. 1.Heat a heavy bottomed pan on medium heat and roast all the ingredients except roasted bengal gram dal and salt, till they turn golden brown color and aroma arises. 2.Once it is done, turn off the heat and transfer to a paper towel to cool completely. 3Then blend all the ingredients including the roasted Bengal gram to a fine powder. 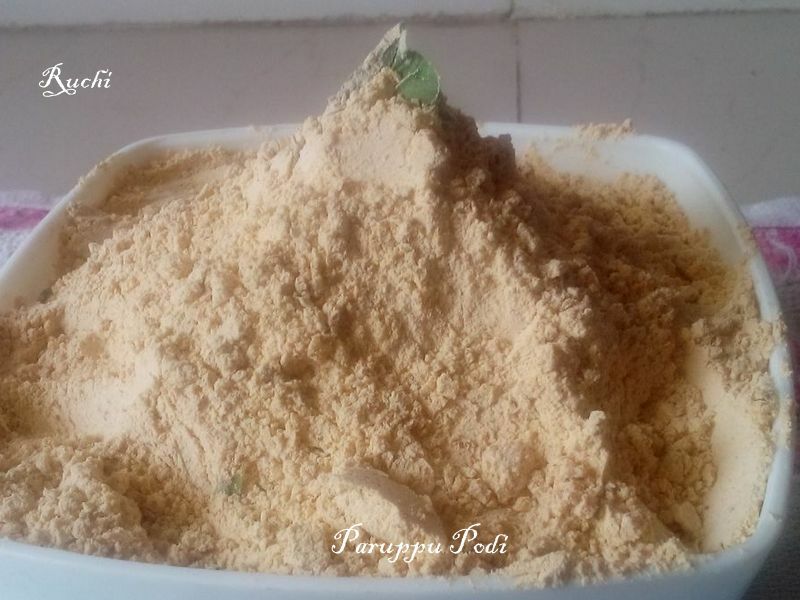 The Paruppu Podi is now ready to use.Store it in an airtight container.